Letter: Don’t give in. Vote. 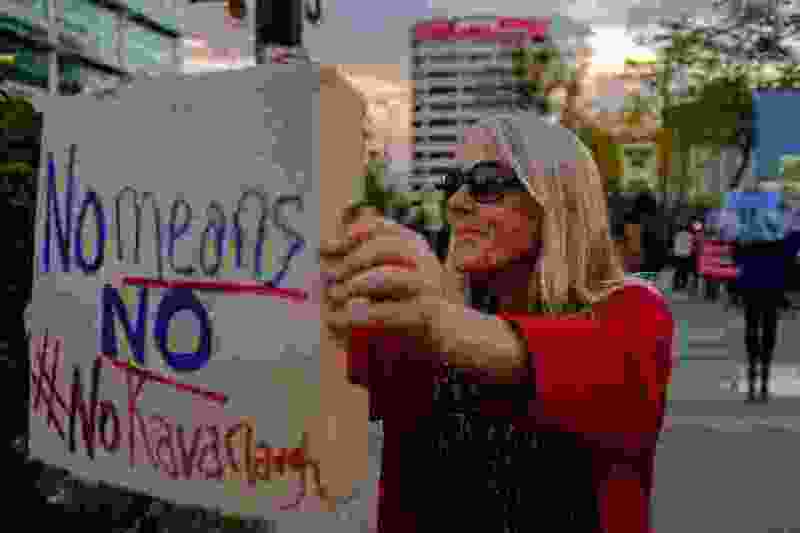 (Trent Nelson | The Salt Lake Tribune) Jane Cunningham Otis holds a sign out to passing cars at a protest against the nomination of Brett Kavanaugh in front of the Wallace F. Bennett Federal Building in Salt Lake City, Thursday Oct. 4, 2018. A man accused of sexual assault has a lifetime appointment on the country’s highest court in spite of allegations of sexual misconduct from at least three women. The GOP has no problem shaming survivors while elevating abusers because, frankly, they don’t think what Brett Kavanaugh is accused of doing was wrong. But midterm elections are less than a month away and a good time to remember that every Republican who voted for Kavanaugh cares more about power than women’s lives. Eleanor Roosevelt said, “No one can make you feel inferior without your consent.” The midterm 2020 election is our time to say enough! Tell Republicans that women will never again give them consent to make us feel inferior. Vote!